Fiona Bruce – yes, the Oxford-educated journalist and newsreader and current host of Antiques Roadshow and other noteworthy BBC programmes – apparently believes that Mexico is in South America. In 2016, episode 3 of series 5 of “Fake or Fortune” investigated the authenticity of an alleged Rodin watercolor of a Cambodian dancer that was given to the owner’s mother in Mexico City in about 1940 by restaurant owner Jimmy Heineman in exchange for some artwork. The owner’s mother, Suzanne Daco, was a moderately successful artist who held at least one solo exhibit of her work in Mexico City. The exhibition was reviewed at the time for Hoy, the illustrated Mexico City magazine. Referring to the review, Fiona Bruce commented that it had appeared in Hoy, “one of the top magazines across the whole of the South American continent.” South America? Err… no! Schoolgirl howler from distinguished BBC journalist? Err… yes! Congratulations, Ms Bruce! You are the latest entrant to Geo-Mexico’s Hall of Shame. And, congratulations, BBC, you become the first organization to have two entrants in our Hall of Shame. The aims of this book are laudable, but sadly, in many ways, this book fails to live up to its hype. This is especially true of Chapter 5 (the concluding chapter), “Interdisciplinary Global Issues: A Curriculum for the 21st Century Learner”. 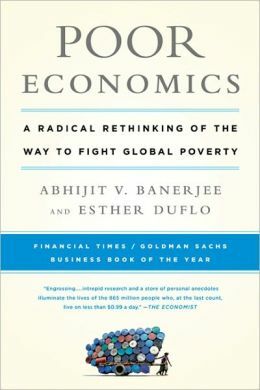 The overly US-centric approach adopted in this book is nowhere more obvious than in this chapter. After defining what is meant by global literacy, the chapter considers how the (U.S.) National Geography Standards (NGS) can help educators plan courses that will promote it. The NGS certainly have considerable value in this regard, but (ironically) this chapter might have benefited from also considering a more global perspective such as that adopted by the geography curriculum of the International Baccalaureate’s Diploma Program. 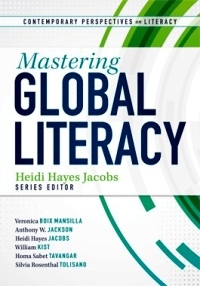 Many of the suggestions made in this book for how global literacy can be promoted are already being practiced (and have been for decades) by geography teachers in the U.K., Australia and elsewhere. The idea that geography can be infused into other disciplines has been around for a long time, hence the proliferation of course titles (in many disciplines besides geography) including terms like “Global” and”World”. There is no need to reinvent this particular wheel in developing courses that promote global literacy, and little advantage to be gained from adopting new terminology, such as the proposals for “Geo-economics”, “Geocommunications”, “Geo-arts and literature”, “Geohealth”, “Geosports” and “Geo-education”. “Houston, we have a problem!”. The suggestion that Mexico, Guatemala and the Panama Canal are located in South America is a classic example of geo-illiteracy and, as such, completely out of place in a book about global literacy. Conclusion? While this book does have some valuable sections, it offers far less to geographers than its promotional materials would suggest. Given its title, the book’s failure to engage with modern geography (as practiced outside the USA) is a major limitation. Mastering Global Literacy. Contributors: Veronica Boix Mansilla, Anthony W. Jackson, Heidi Hayes Jacobs, William Kist, Homa Sabet Tavangar, Silvia Rosenthal Tolisano. 136 pages. Solution Tree. 2013. The book is impressive; indeed, I would say it is encyclopedic, both in terms of Mexico as a place, and geography as a subject. Exactly as promised on p.2, it introduces models and theories that are characteristic of the subject, and then shows how they could be adapted to be made more relevant to Mexico. Moreover, it does so in ways so clear that a layman/non-geographer would have little difficulty understanding the linkages made. Chapter 2 illustrates the point: a reader does not have to be a physical geographer to understand the links between plate tectonics and volcanoes and earthquakes in Mexico. Other chapters do likewise, and it has been a delight to find geographic theories and principles stated and then illustrated with reference to the topic of the subject – and in plain language, rather than jargon. The diagrams and maps are very well done and not simply imported from other sources -a clear indication that the authors really know their subject of Mexico. To describe the Latin American urban model is one thing: to view Figure 22.4 is to see it in effect and to understand its socio-economic impact (and politics?). I can well see why the book should be promoted. Reproduced by kind permission of Dr. Stuart Semple, Adjunct Professor of Geography in the Department of Geography and Environment at Mount Allison University, in Sackville, New Brunswick, Canada. Dr. Semple is a respected educator and a former Chief Geography Examiner of the International Baccalaureate (IB). 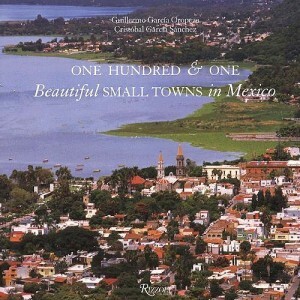 Review of “One Hundred and One Beautiful Small Towns in Mexico”. Books and resources Comments Off on Review of “One Hundred and One Beautiful Small Towns in Mexico”. 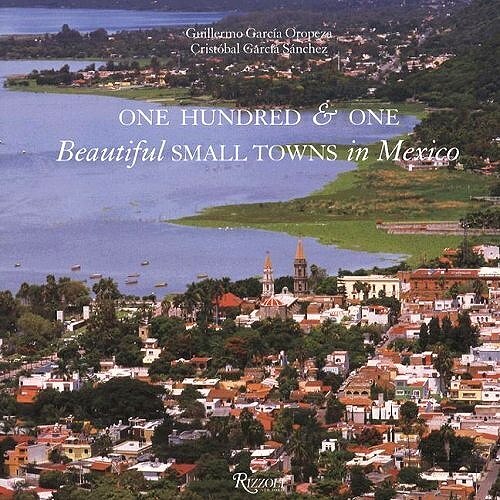 In an earlier post, we listed the towns included in One Hundred and One Beautiful Small Towns in Mexico, by Guillermo García Oropeza and Cristóbal García Sánchez (Rizzoli International Publications, 2008; 280 pp.). Here we offer a short review of the book. This is a large format book, with many magnificent photographs. A fascinating range of places is included, even though the criteria used for their selection are nowhere explained. The selection offers lots of interest for anyone curious about Mexico’s geography. For example, a stunning aerial view of Mexcaltitán (Nayarit) shows the cross-and-concentric-circle street pattern of “Mexico’s Venice”, surrounded by muddy brown shrimp-bearing swamps. Curiously, the list of places included in the book on the contents pages adopts the affected style of using no capital letters whatsoever for any of the town names. Each place is afforded at least a double page spread, and the back of the book has helpful lists of tourist offices, and selected hotels and restaurants. Despite the title, some of the locations are more to do with the natural environment than with settlement. For instance, the town of Cuatro Ciénegas is a somewhat unprepossessing place whereas the desert oases of Cuatro Ciénegas,on which the book entry focuses, are an amazing natural zoological laboratory of crystalline water and extraordinary biodiversity. Similarly, Cacahuamilpa Caverns hardly qualify as a town! The San Ignacio entry focuses on difficult to reach cave paintings. The village itself has few claims to fame beyond its colonial mission church. The Paricutín double-page spread is named after the volcano which devoured several small settlements including Parícutin (for the name of the original village, the accent is on the second syllable; for the volcano it is on the last syllable). The photos included here actually show (as the captions make clear) the towns of Angahuan, and the upper facade of the church of San Juan Parangaricutiro, overwhelmed by the volcano’s lava. A couple of places are given names that might not be very familiar to their residents. Casas Nuevas (Chihuahua) is actually Nuevo Casas Grandes (the real Casas Nuevas is an entirely different place which had only 13 inhabitants at the time of the 2000 census) and Mineral del Monte (Hidalgo) is more usually known as Real del Monte. In southern Mexico, Santa María del Tule gets an entry. Santa María would not be worthy of mention, except for the fact that it is home to what is arguably the world’s largest tree, now thankfully restored to good health after decades of neglect. 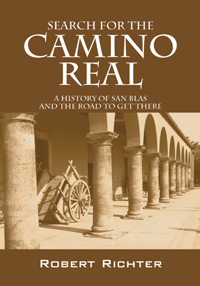 In the Yucatán, three entries ignore the main thrust of the book, and focus instead on significant routes, one linking henequen (sisal) haciendas, one combining relatively minor archaeological sites which share distinctive Puuc architecture, and one going from one friary (monastery) to another. These are all interesting trips, but are entirely unexpected in a book specifically about towns. Some judicious editing might have removed some of the inaccuracies such as describing hemp (sisal) as “in the agave… or cactus, family”. The family name for agaves is Agavaceae which includes the genus Agave. In any event, agaves are biologically distinct to all members of the Cactaceae family; confusing agaves with cacti is an unexpected blunder. The chosen towns quite rightly include some long-abandoned sites such as Teotihuacan, “City of the Gods”, which was once a city of 200,000 or so, the fascinating Mayan sites of Palenque and Chichen Itza, and Mitla and Monte Alban, both in Oaxaca. The cover photo of the town of Chapala in Jalisco, much favored by American and Canadian retirees in recent years, unfortunately dates from a time when the lake level was relatively low. The green areas in the lake are floating masses of the introduced aquatic weed water hyacinth. Despite being written by a Mexican historian, there are numerous minor historical inaccuracies in the text, though these should not detract from the enjoyment of the average reader. For instance, in the Chapala entry, illustrated by the same photo used on the cover, it should be Septimus Crowe (not Crow), and the “navigation company with two small steam ships” had nothing to do with Christian Schjetnam. The steamships predated his arrival in Chapala by many years. Schjetnam did however, introduce two small sail yachts to the area, perhaps explaining the confusion. The description of President Díaz’s interest in Chapala appears to imply that he was first acquainted with the lake when he visited “a political crony” in 1904. Actually, Díaz was certainly personally familiar with Lake Chapala from long before this. The entry for Santa Rosalia repeats the long-held but unproven idea that the main church was designed by Frenchman Gustave Eiffel (of Eiffel Tower fame). The town does have other Eiffel connections, and the church may indeed have been brought lock, stock and barrel from the 1889 Paris World Exhibition. However, research by Angela Gardner strongly suggests that the original designer was probably not Eiffel but was far more likely to have been Brazilian Bibiano Duclos, who graduated from the same Parisian academy as Eiffel. Gardner proved that Duclos took out a patent on prefabricated buildings, whereas she could find no evidence that Eiffel had ever designed a prefabricated building of any kind. Regardless of who designed it, it is certainly a unique design in the context of Mexico, and well worth seeing. And really, surely this is the main point of this book. It was presumably never intended to be a reliable geographical (or historical) primer, but rather an enticing selection of seductive places, many of which will be unfamiliar to any but the most traveled reader. The variety of places included is breathtaking; few countries on earth can possibly match it. As such, One Hundred and One Beautiful Small Towns in Mexico is a resounding success. This beautifully illustrated book should certainly tempt readers to venture into new parts of Mexico in search of these and other memorable places. Enjoy your travels! John Pint, one of Mexico’s best known cavers and explorers, and author of “Outdoors in Western Mexico”, has reviewed Geo-Mexico: the geography and dynamics of modern Mexico for MexConnect e-zine. 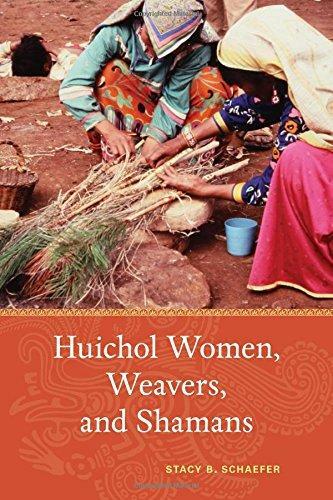 This book, in fact, includes subjects like female quality of life in Mexico, access to cell phones, urban sprawl, the survival of the Tarahumara Indians and even gives us the touring route of the Hermanos Vázquez Circus. Geo-Mexico will surely become the geography book of choice for ethnically-oriented courses in the USA and Canada… If only we’d had textbooks like this one when I was a youngster. Collaborating long-distance via Internet over the past six years, Tony Burton and Richard Rhoda have put together the most comprehensive resource of Mexico geography ever published. “Geo-Mexico, the Geography and Dynamics of Modern Mexico” is now on the market in sync with a milestone year in the country’s history. Mexico is home to planet earth’s largest natural crystals, its deepest water-filed sink hole, and second richest man, telecommunications magnate Carlos Slim. The country ranks first in the world for diversity of reptile species and the incidence of diabetes, while placing second only to the United States in the consumption of soft drinks. Those are just a few of the juicy factual tidbits curious readers will pick up on the pages of the timely and engaging tome compiled by Ajijic-based geographer Richard Rhoda and colleague Tony Burton, a former lakeside resident who now makes his home in Ladysmith, British Columbia. The book goes far beyond describing the physical characteristics of the country, exploring sociological, economic, political and cultural landscapes as well to comprise the most comprehensive geographical study of the republic ever published in English. Laymen and scholars alike will appreciate the straightforward, seamless, reader-friendly writing style and the enhancement of information with more than 150 maps, graphs, diagrams and highlighted textboxes. Presented in 31 easily digestible chapters, the text delves into tha land’s past, present and future with keen analysis that provides a clear understanding of Mexico in a global context. The concept for the book originated from a lecture series on Mexican geography Rhoda put together for the Lake Chapala Society in 2004. From his original idea of putting his lecture notes into a printed form, the project evolved into a six year research, writing and publishing endeavor. Burton’s involvement came about as Rhoda was looking into avenues for getting his work into print. He pulled a copy of Burton’s “Western Mexico: A Traveller’s Treasury” off his bookshelf and learned that the self-published author was a fellow geographer. He contacted Burton to seek advice on how to get the work published, but finding common ground, soon saw the project turn into a collaborative effort. It turns out that Burton had a similar idea floating in the back of his head that came from his struggles to find a single, solid resource in the early 1980’s when he was teaching a college level course on subject in Mexico City. Frustrated by the need to assemble teaching materials from diverse sources, he yearned to fill the gap, but saw it as a gargantuan task he could only conceive of undertaking in retirement. After an initial exchange of ideas, the two men promptly developed an easy-going working relationship, complementing one another perfectly in their divergent areas of expertise. Rhoda wrote a first draft and then Burton kicked in on editing, fleshing out the content, and putting together the graphics. The end product is a stunning accomplishment, intentionally timed to coincide with Mexico’s Independence bicentenary and Revolution centenary milestone. It is a must-have item for any Mexicophile’s bookcase.